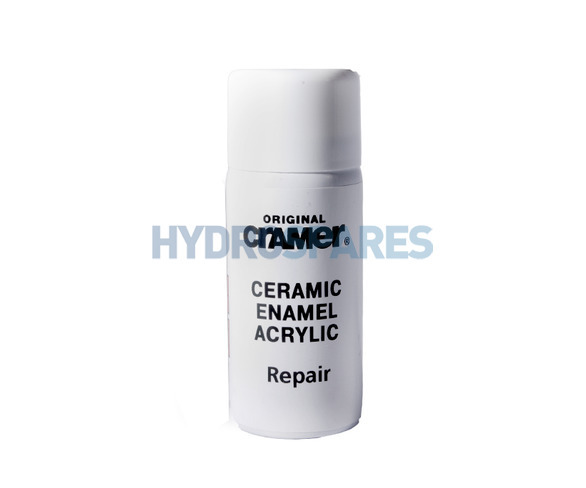 For covering repairs & unsightly marks on Acrylic, Enamel, Ceramic, Fibreglass and Resin Stone surfaces. For professional and cost-saving repairs when ease and perfect results are important. If you require a colour not shown have a look at the Cramer Colour Card under downloads to see available colours. Colours can be ordered in on request. We cannot ship this item to Highlands & Islands or International addresses. The item contains an Aerosol which is prohibited by Royal Mail, most standard Couriers & Air Mail services. We can only deliver to UK mainland addresses via specialist carrier, therefore a £3.50 additional delivery surcharge will be applied at checkout. Easy to use to cover repairs & unsightly marks. Even coverage is easier to achieve if you use a mask cut from paper, just cut to size of area being sprayed. For larger areas mask surrounding area. Hold the mask about 1 - 2 cm in front of the damaged area and start spraying onto the mask, before directing the spray with light movements over the cut out area. 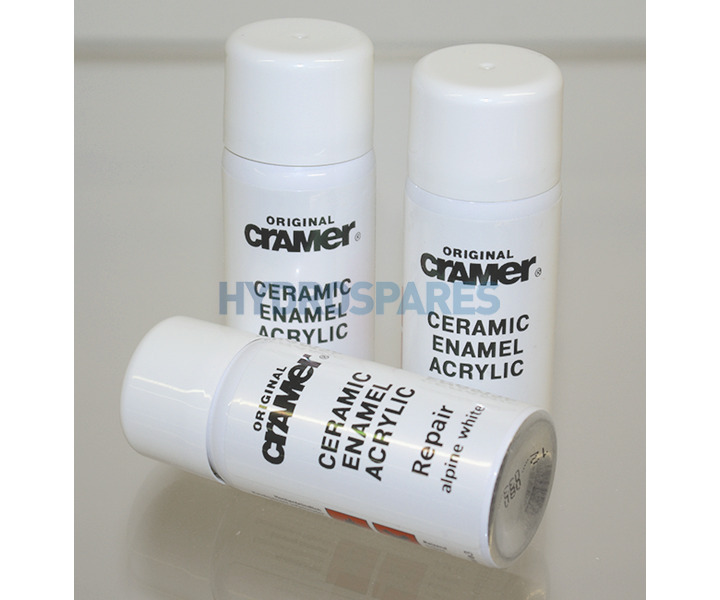 The repaired area can be polished with either Email Star or Acryl star polish after four days.